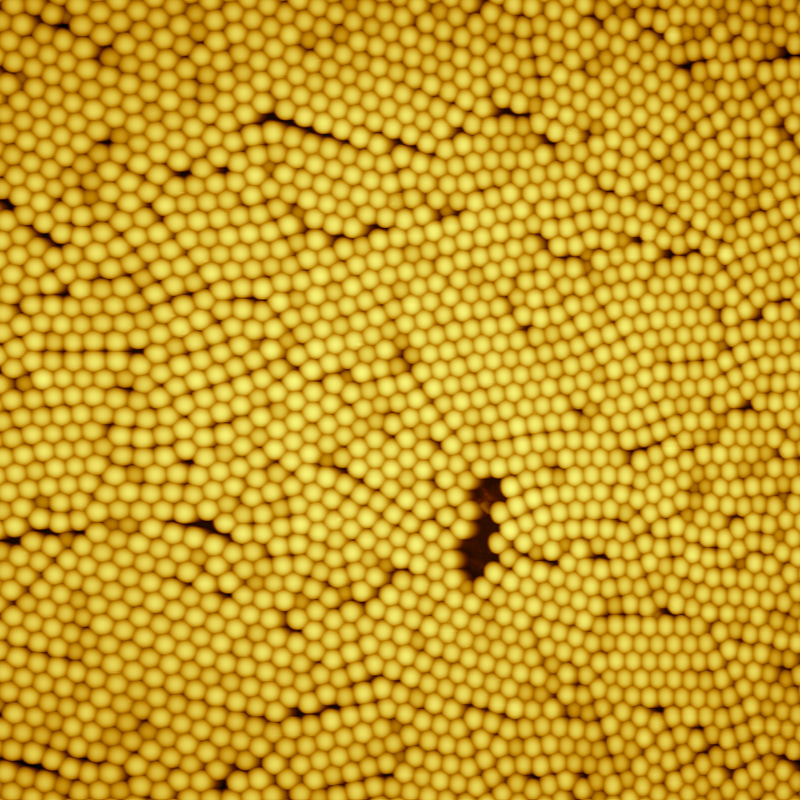 This page contains currently a very small selection of the AFM images I have collected over the years. 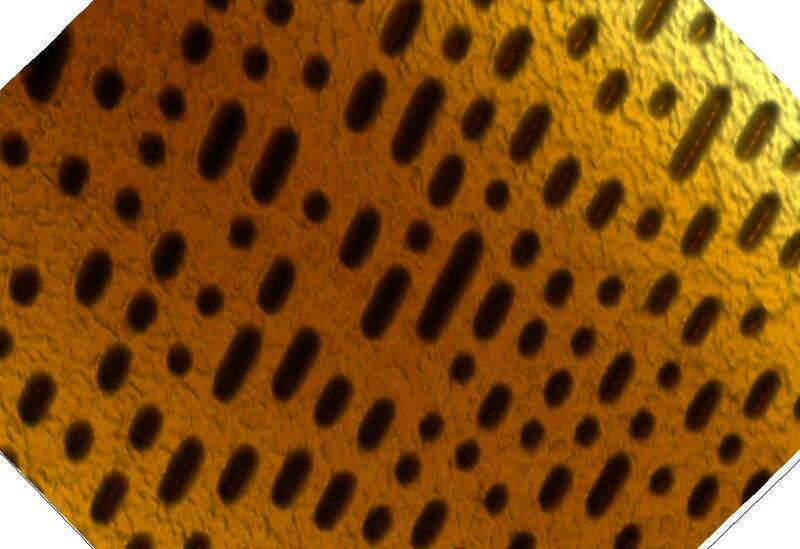 Please check back later to see more. 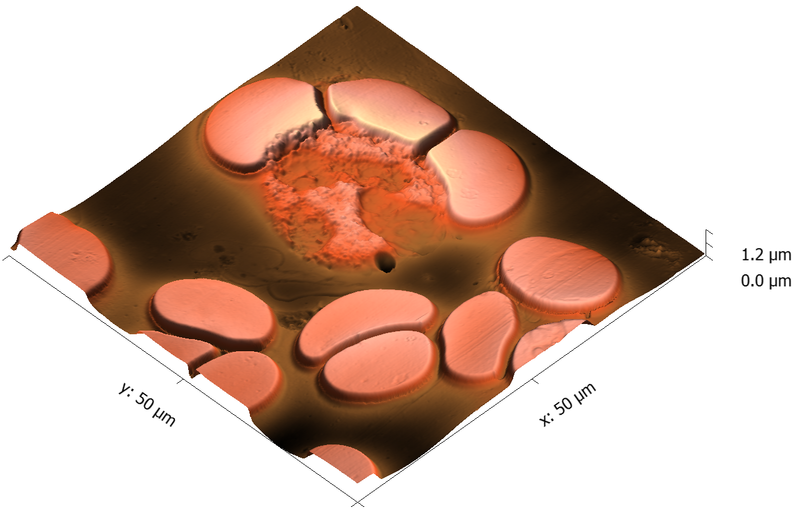 This AFM height image shows a human blood smear with some erythrocytes, surrounding a neutrophil (white blood cell). 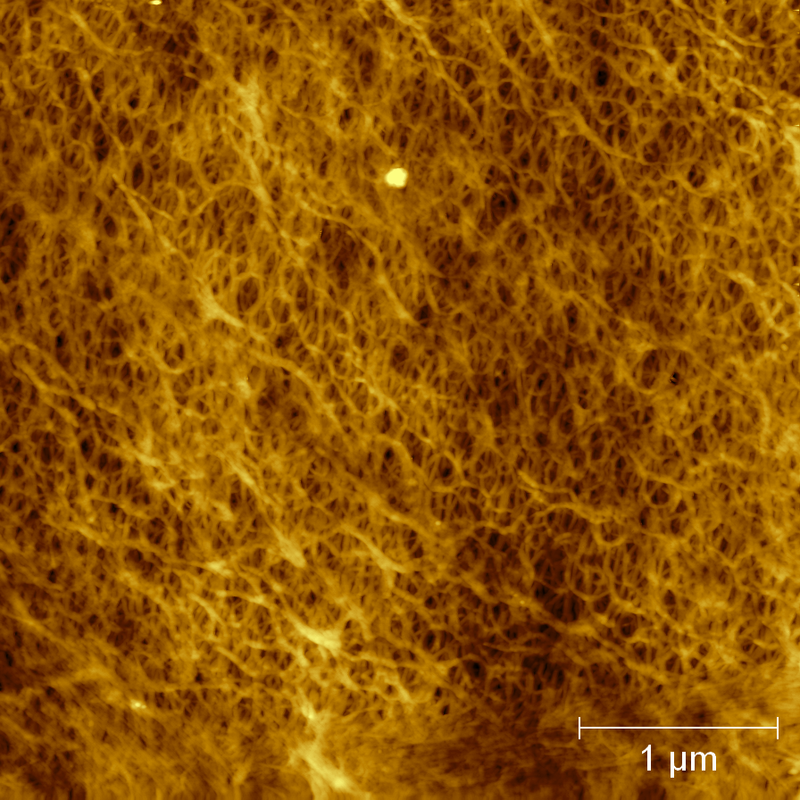 Fibrous polymer film (Biaxially Oriented Polypropylene). 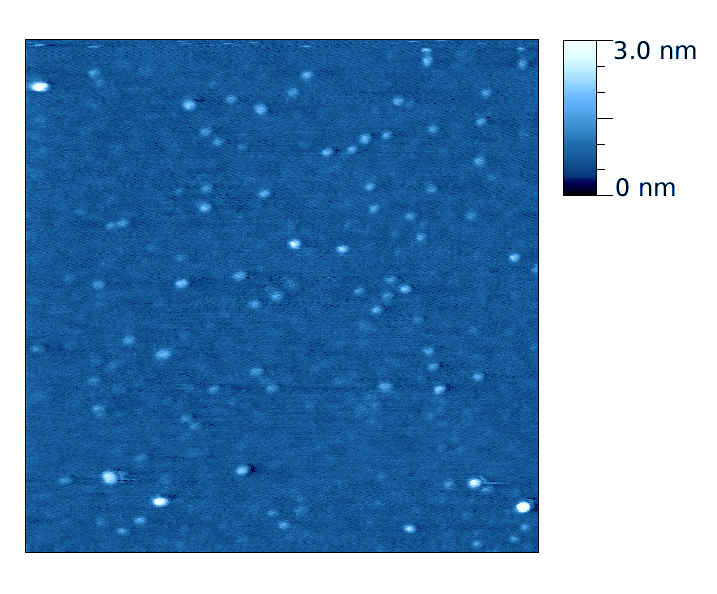 AFM image of DVD data bits. 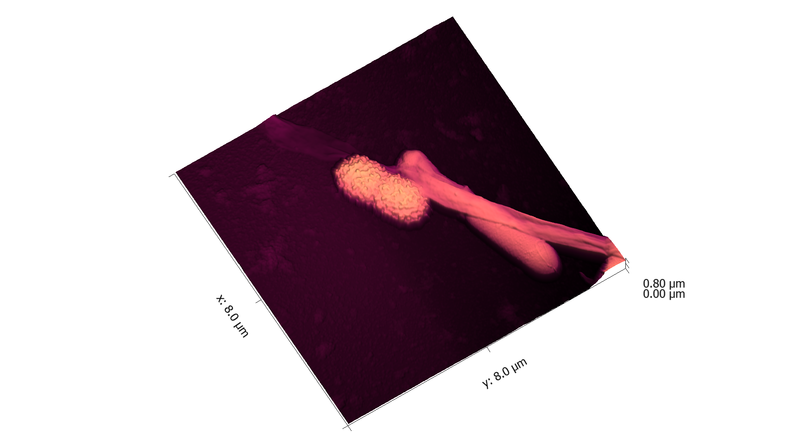 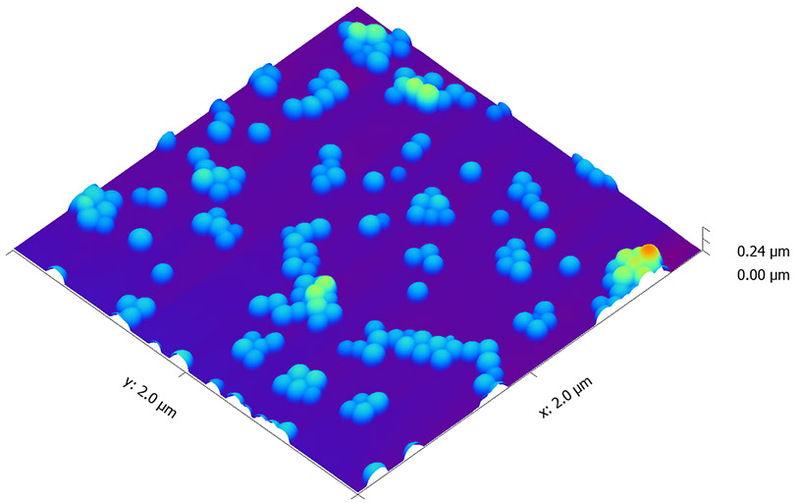 This AFM image shows a sample with a two populations of polystyrene nanoparticles, one large and one small. 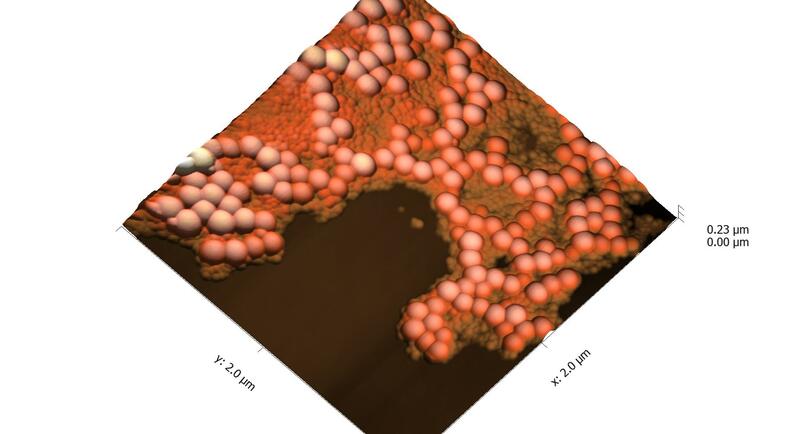 This AFM image shows different species of bacteria. 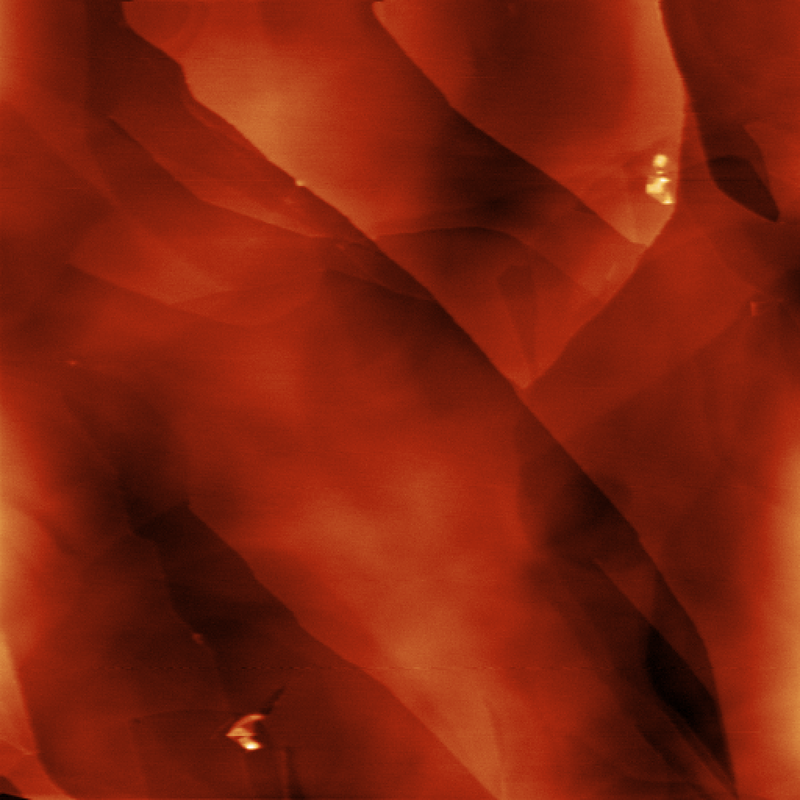 AFM image showing quantum dots, just 2 nm in diameter!